AWS Elemental MediaConnect is a high-quality transport service for live video. Today, broadcasters and content owners rely on satellite networks or fiber connections to send their high-value content into the cloud or to transmit it to partners for distribution. Both satellite and fiber approaches are expensive, require long lead times to set up, and lack the flexibility to adapt to changing requirements. To be more nimble, some customers have tried to use solutions that transmit live video on top of IP infrastructure, but have struggled with reliability and security. Now you can get the reliability and security of satellite and fiber combined with the flexibility, agility, and economics of IP-based networks using AWS Elemental MediaConnect. MediaConnect enables you to build mission-critical live video workflows in a fraction of the time and cost of satellite or fiber services. You can use MediaConnect to ingest live video from a remote event site (like a stadium), share video with a partner (like a cable TV distributor), or replicate a video stream for processing (like an over-the-top service). MediaConnect combines reliable video transport, highly secure stream sharing, and real-time network traffic and video monitoring that allow you to focus on your content, not your transport infrastructure. MediaConnect adds a video-specific quality-of-service layer over standard IP transport, enabling uninterrupted, high-quality delivery. This makes your live video workflows more reliable, even over less dependable networks. MediaConnect lets you secure your live video using industry-standard encryption, and only share content with authorized customers. This gives you control over the distribution of your content. MediaConnect provides real-time visibility into more than 15 critical metrics of your video stream quality, automatically adjusting settings to optimize performance. Broadcast-standard alerts identify issues with transport streams, so you can maintain confidence that your video is delivered without disruption. 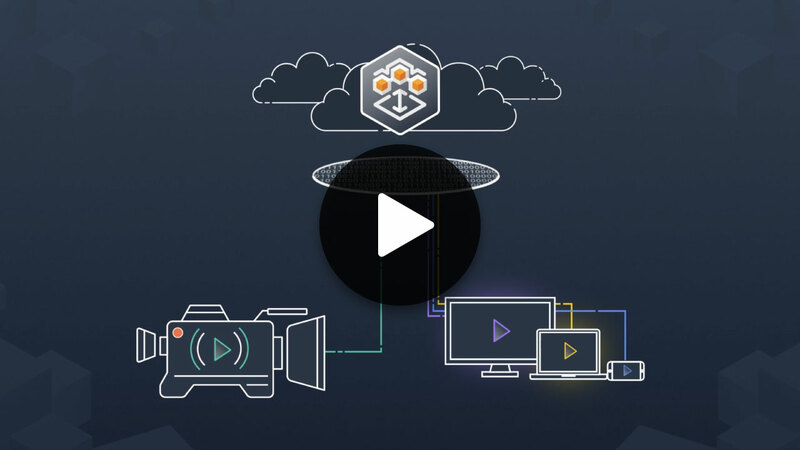 MediaConnect uses your IP infrastructure or AWS Direct Connect to enable cost-effective, high-quality live video to the AWS Cloud. Instead of long-term commitments to satellite transponders and fixed fiber networks, MediaConnect provides a pay-as-you-go transport alternative, saving you 30% or more compared to a typical satellite primary distribution use case with 70 destinations. Learn more about AWS Elemental MediaConnect features and read the FAQ. Instantly get access to AWS Elemental MediaConnect. Get started building with AWS Elemental MediaConnect in the AWS Console.